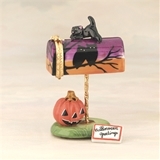 Limoges Halloween Ltd Ed Train Box Set of 3. 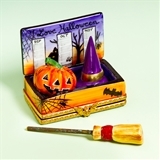 Celebrate a real Limoges Halloween Trip with our Exclusive Limited Edition Brand New Limoges Halloween Train Box. 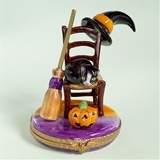 A unique set of 3 French hand painted Limoges porcelain boxes with some loose accessories in French Limoges porcelain: a Limoges Black Cat statuette, a Limoges Broom Figurine and a Limoges Black Hat . Celebrate a Limoges Choo-Choo Halloween 2013! 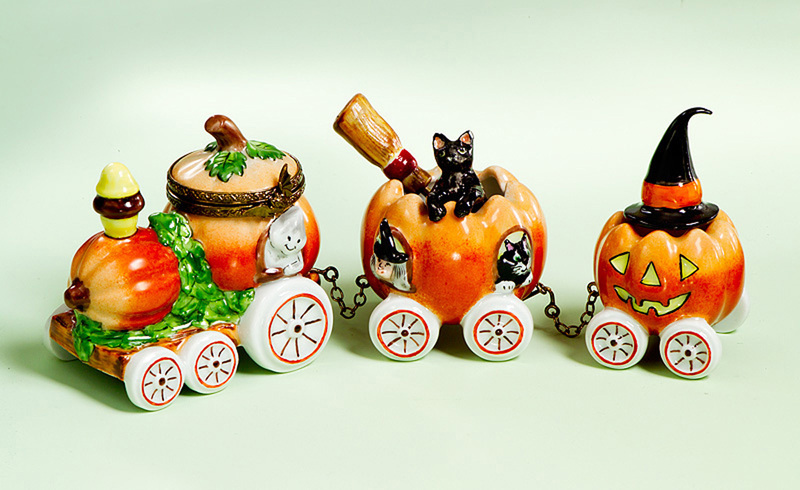 with our unique Limoges Halloween Train Box - set of 3- This Limoges Halloween box will be available early October. Ltd Ed 250 worldwide, each piece is numbered.